Valleyview is strategically located at the junction of Highways #43 and #49 in northwestern Alberta. With the twinning of Highway #43, which has been identified as a major north/south corridor, it is estimated that over 2 million travellers will pass through Valleyview annually. Highway #43 is the major link to the Alaska Highway and Highway #49 is the major route to the Mackenzie Highway that leads to Yellowknife and the Northwest Territories. 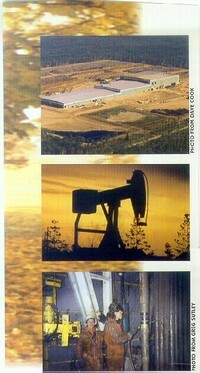 The Town of Valleyview acts as the major service center to many industries surrounding the community. With a population of approximately 2,000 people, the Town provides services to an area population of over 5,000. The Town of Valleyview provides medical, recreation, education and retail services to all area residents. The Town also offers services to the travelling public with many truck stops, restaurants, motel accommodations, camping facilities and all major emergency services that might be required.